Zoo Bikes, originally uploaded by Zakkalicousness. 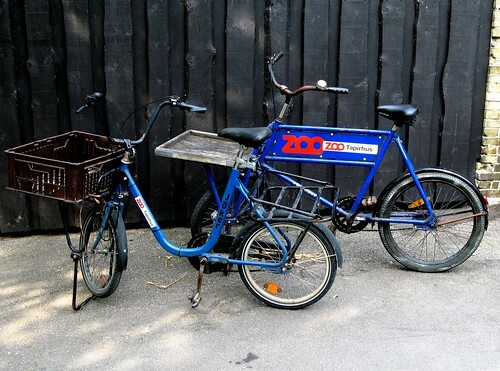 At the Copenhagen Zoo, just outside the city centre, they use bikes to get around and to transport feed and equipment. These bikes belong to the Tapir House. Whether or not the tapirs can ride them is unknown at time of posting.